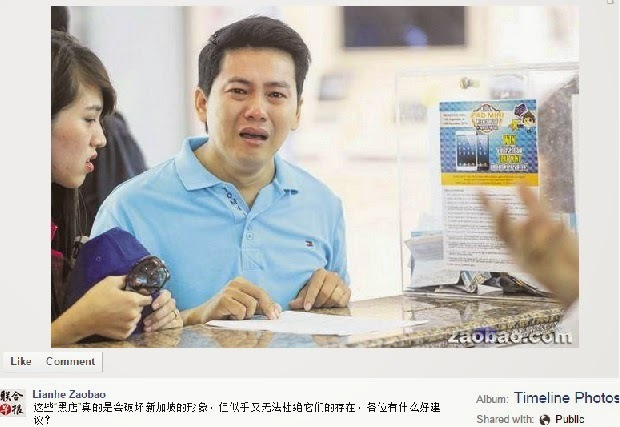 On a video, a Vietnamese tourist tearfully knelt in front of the employees of Mobile Air in Singapore after he was unable to pay the extended warranty on top of the iPhone 6 he initially planned to buy for his girlfriend. As seen in the video recorded on November 5, the man knelt and seemed desperate as he looked around the store and seemed to plead fro the store manager’s mercy. The incident started when the couple had their tour in Singapore and decided to buy an iPhone 6 in at Mobile Air located in Sim Lim Square Shop. The man paid $950 in cash to buy the phone as his birthday gift to his girlfriend. He shared that as a factory worker, it actually took him months to save enough money for it. As the couple were about to leave the shop, the store employees asked him if he would be interested on buying a one year extended warranty. Misunderstanding what he was signing for and thinking that it was for free, he intended to leave the shop with his girlfriend only to be stopped once again. The store manager demanded that he should pay for the extended warranty that he had just signed, which actually costs $1,500. The manager refused the couple to take the iPhone 6 they had just purchased in cash until the Vietnamese paid for the extended warranty. Desperate because he does not have the means to pay for it, he asked for a refund but the manager refused and said that they will settle with a $600 refund. The girlfriend retaliated and called the police only to come out of the store with just $400.